The inlets and tranquil waters of the Bay of Pigs are considered a sacred place in Cuba. It was here in 1961 that Fidel Castro fought back a US-supported invasion force, a victory that cemented his rule. The nearby 300,000-hectare Ciénaga de Zapata National Park is a pristine ecosystem that has largely been off limits to US anglers until now. On Friday, Orvis announced the Cuba trips which will the company said they will do monthly basis starting in October. The seven day fishing and cultural visits will cost $7,150 per angler; airfare is not included. Orvis is one of the largest fly fishing outfitters in the world and does more than $340 million a year in sales. It is the first major U.S. sporting company to do business on the island. "There's few places out there where the resource has been put first and foremost, and when that happens the fishing is excellent and Cuba's a perfect example of that," said Simon Perkins, Orvis' senior manager of adventures and hunting. 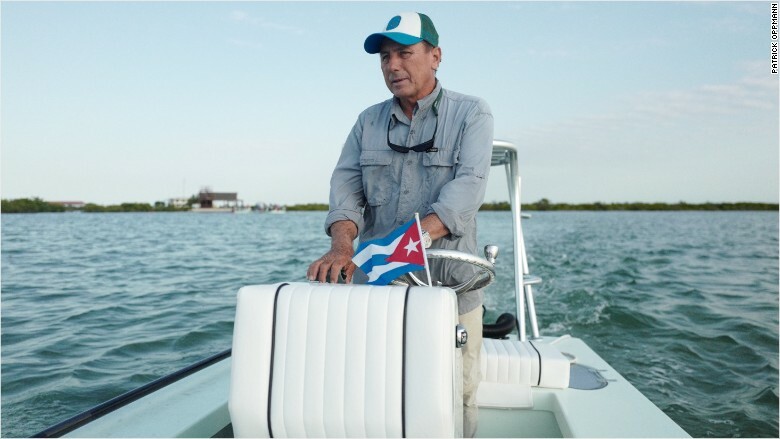 Perkins, whose family has owned and run Orvis since 1965, said Cuba's pristine natural environment and improving U.S.-Cuban relations present anglers with a unique opportunity to fish in a country only just now opening to US companies and visitors. In addition to guiding fishing, Perkins said, the company will take clients to meet Cuban artists and musicians to showcase the island's culture. Orvis' announcement comes the same month other companies have started showing a Cuban presence. For instance, Carnival Corporation sailed the first US cruise ship to the island in nearly 40 years. And French fashion company Chanel hosted the first large-scale fashion show in Havana since the 1959 revolution. US law still prohibits Americans from going to the communist-run island as tourists, but since the restoration of diplomatic relations with Cuba in 2015, the Obama administration has relaxed rules on travel and doing business there. In order to get to the area where Orvis will take its clients, visitors drive past individual markers where soldiers died in 1961 while fighting CIA-trained Cuban exiles. "This is where the mercenaries arrived," reads a massive billboard near the site. Despite the decades of poisoned relations between the U.S. and Cuba, local fishing guide Felipe Rodríguez Alonso said he welcomes the arrival of a large American company like Orvis. "They are the symbol of fly fishing in the whole world," Rodríguez said. "To have them here, their clients, their anglers. It's a way for us to learn more about the fishing and the conservation. At the same time they have the top of the technology." Rodríguez said increased interest in the area from U.S. anglers will improve the local economy. He said he has already started to give classes to Cuban children to learn about fly fishing and guiding. Park officials only let eight anglers fish at any one time, Rodríguez said, and access to the park will continue to be limited. "We don't want 100 people fishing in the same spot. We want a few people doing well and at the same time preserving the area," Rodríguez said. Perkins said the company only practices catch and release fishing, and that it will begin donating money to groups doing conservation work in Cuba. Orvis gives 5% of its pre-tax profits to groups in the U.S. and abroad that help to protect the environment, Perkins said. 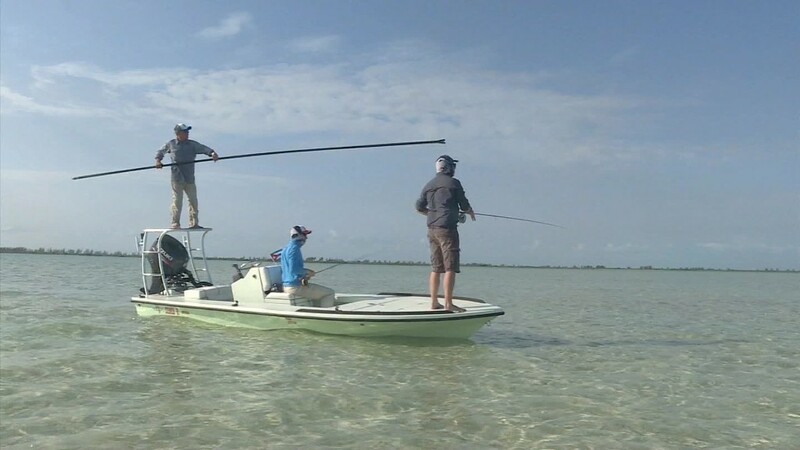 The funds from Orvis will go a long way on an island where financial difficulties mean research is often done on a shoestring budget, said Aaron Adams of the Bonefish & Tarpon Trust -- an organization that works with Cuban scientists to study and preserve Cuba's unique environment. "Science is not cheap," Adams said. "Just getting our Cuban colleagues access to rental cars so they can go and do research is just one part of the cost." At the same time, Adams said Americans will learn more about Cuban efforts to maintain the island's protected areas despite a booming tourism sector. While their clients will come to Cuba for the fishing, Perkins said he hopes they will also connect with the Cuban people and culture. "Its something that's instilled in us, which is you use a fly rod to find amazing places, amazing species, amazing people. That's what the tool has become for all of us," Perkins said.